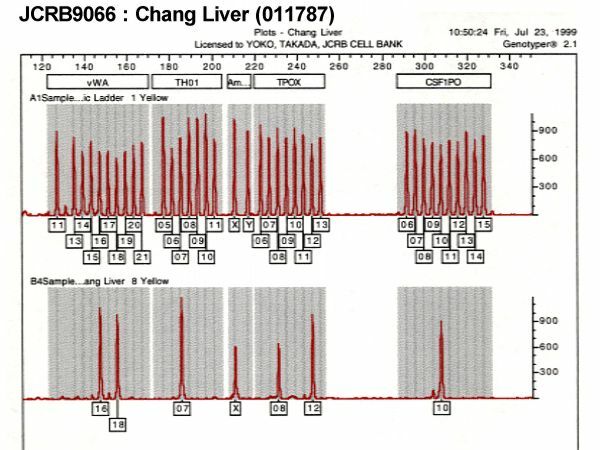 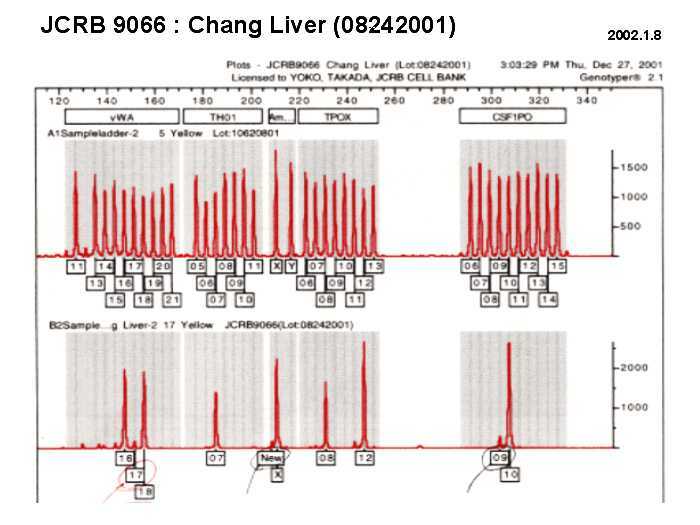 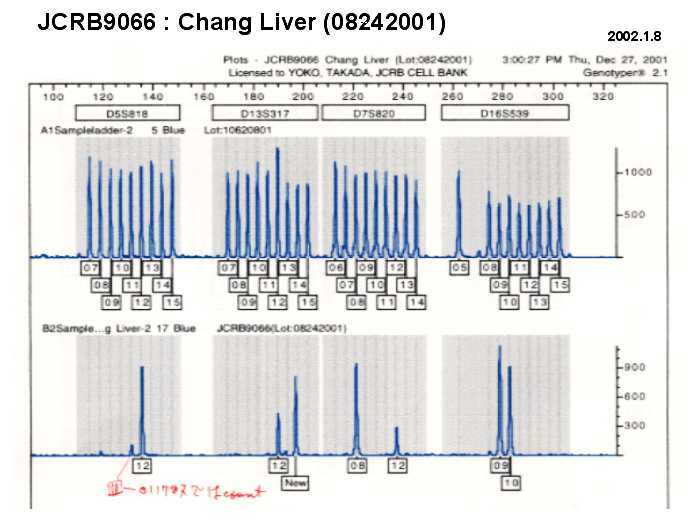 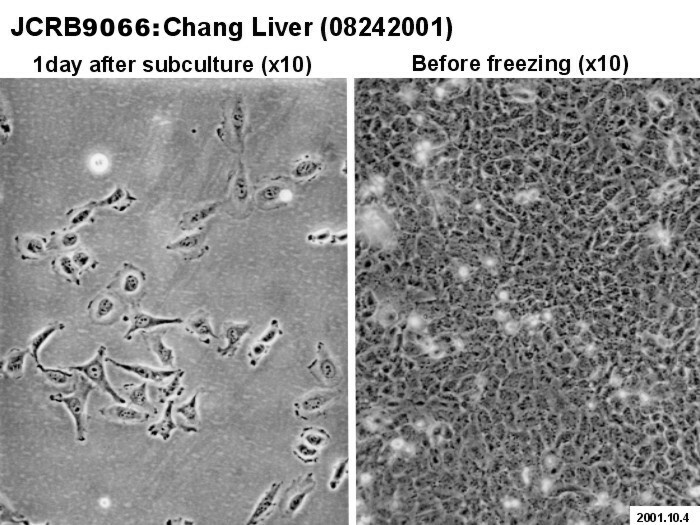 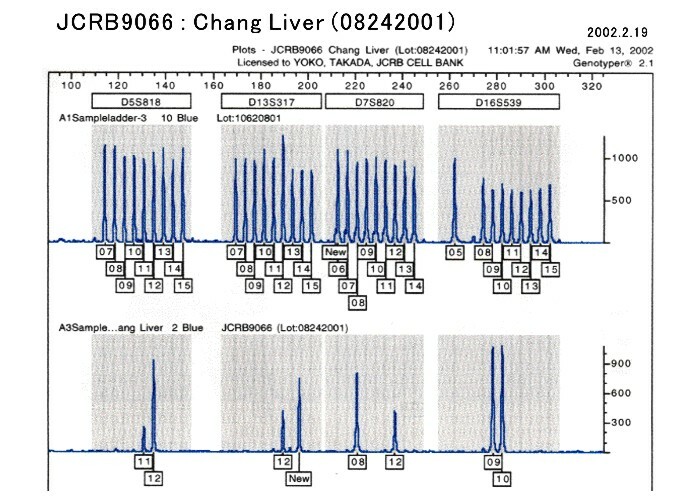 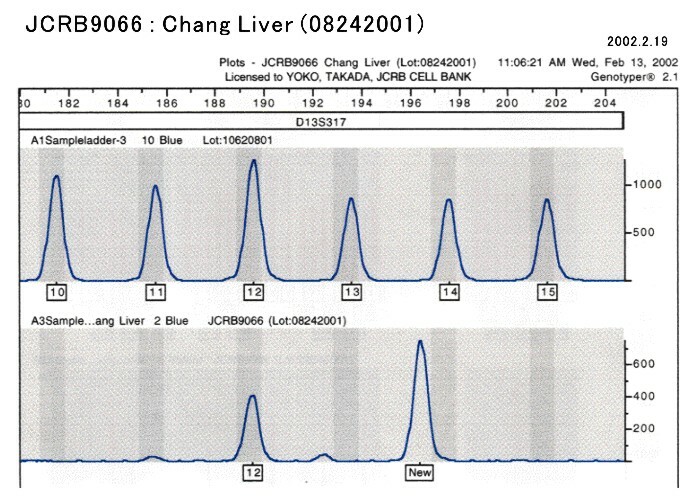 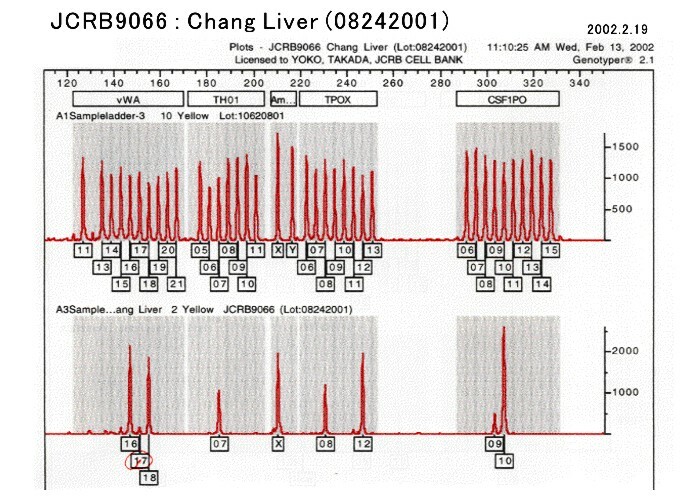 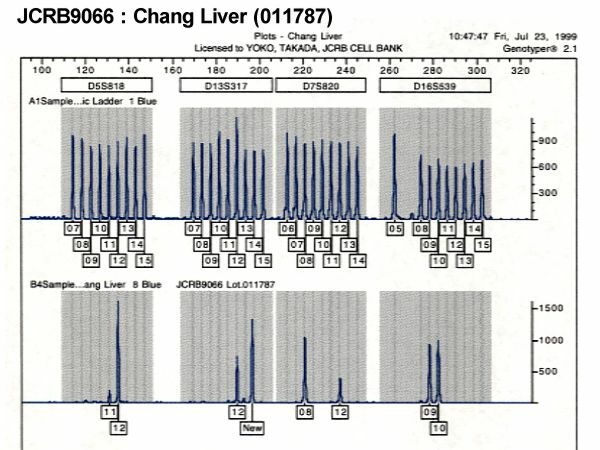 Chang Liver cell line was established as human liver-derived cell line. 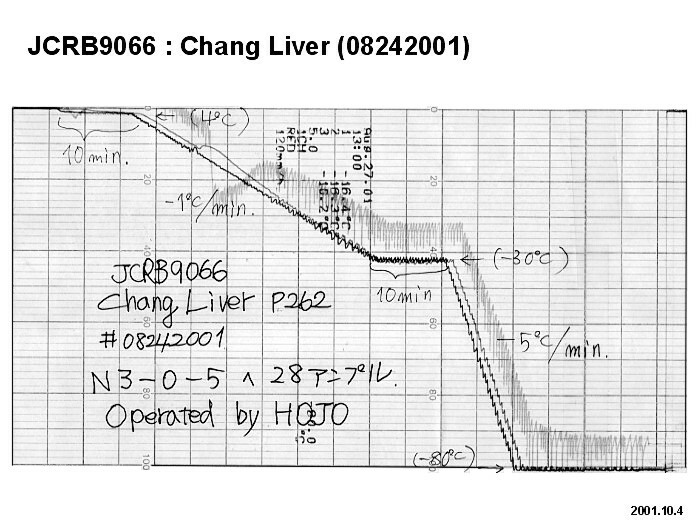 not be used for the studies of liver cells. 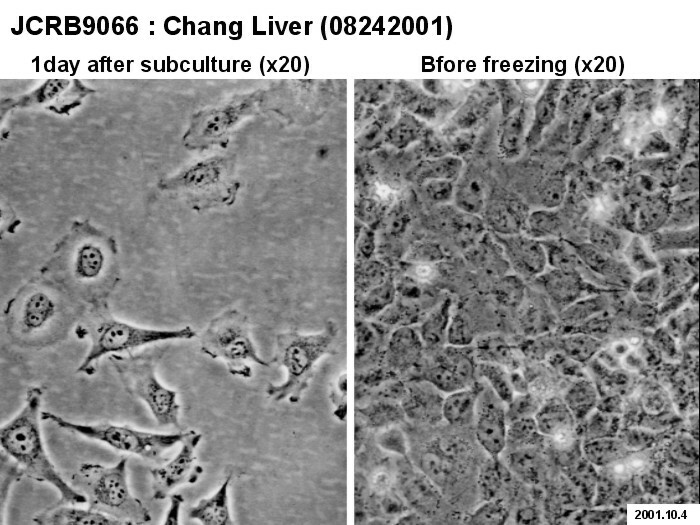 The Chang Liver cell line has been identified historically as a subline of the HeLa. 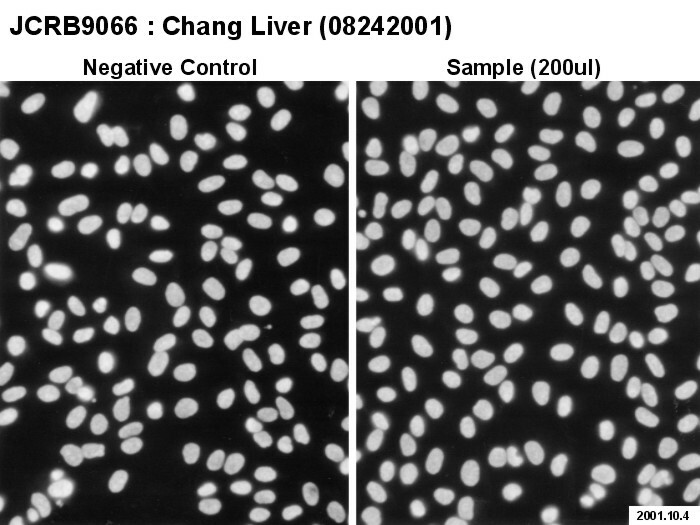 This cell line was reported as a liver cell line but later this cell line was identified as a HeLa cell. 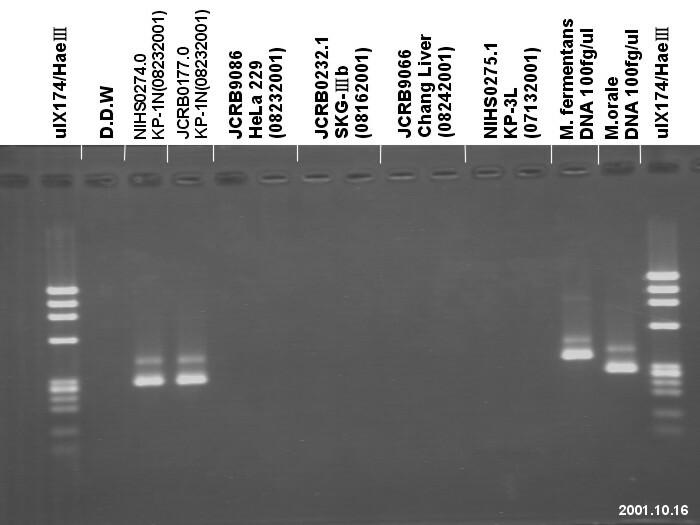 Basal medium Eagle with 10% calf serum. 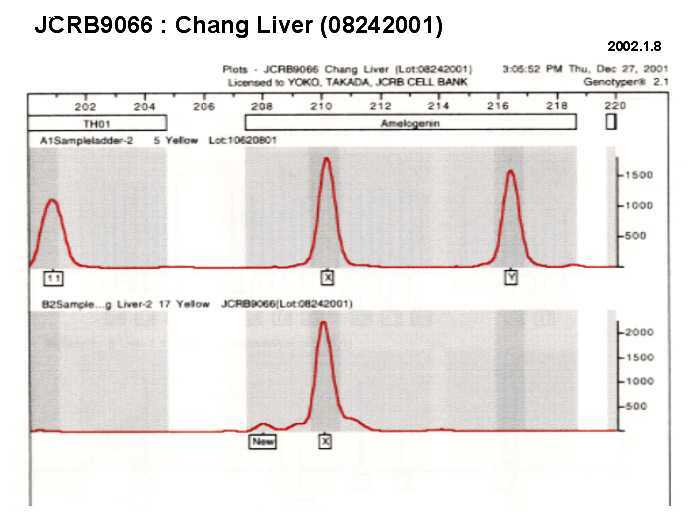 Confirmed as human by NP, G6PD(type A), MD. 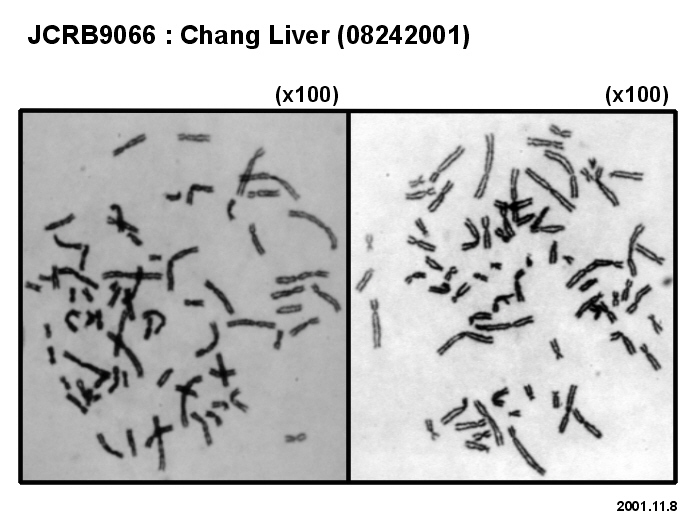 Monolayers are washed once with PBS(-) and treatedwith 0.25% trypsin-0.02% EDTA.